After a six-month nomination process, Tanenbaum is thrilled to announce our two newest Peacemakers in Action, Jamila Afghani of Afghanistan and Bishop Ntambo Ntanda of the Democratic Republic of the Congo. 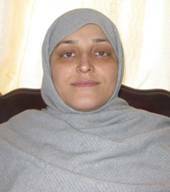 Jamila Afghani is a Muslim activist, a social worker and an advocate for women, who grew up in Afghanistan during the Soviet invasion. After years of providing Qur’anic-based literacy classes to women in refugee camps in Pakistan, she returned home to Afghanistan. Jamila is not only the founder of the Noor Education Centre but a leader who provides resources to hundreds of young women and children, including some who live amidst the heaviest fighting. 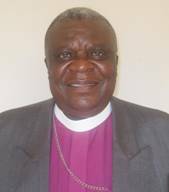 Bishop Ntambo Ntanda leads sustainable development and reconciliation for his people in wa r-torn DRC. Engaged in a range of peace activities, Bishop Ntambo’s heroism was evident when he overcame taboos and risked his life to engage a militia group that practices cannibalism. His vision and peace conference led to successful negotiations, cessation of hostilities and complete disarmament of the militia. His building programs and ministries for street children have helped people to maintain their homes rather than flee rebels. Tanenbaum Peacemakers receive a host of benefits, including increased recognition for their achievements, a $15,000 cash prize to reinforce their work, creation of an in-depth case study of their peacebuilding methods, relevant trainings with fellow Peacemakers, and the opportunity to become part of a worldwide network of Peacemaker-practitioners. Tanenbaum is proud to count Jamila Afghani and Bishop Ntambo as the 25th and 26th members of our Peacemakers in Action community. They will be officially honored at a ceremony later this year. Welcome!